Experian plc is a major credit reference agency with operations in 40 countries. The hacker claims he has access to the Experian database which contains information of some 203,419,083 accounts and has set the price for this database at Bitcoin 0.8082 (USD 600.00). Screenshot from the dark web marketplace where Experian data is being sold. 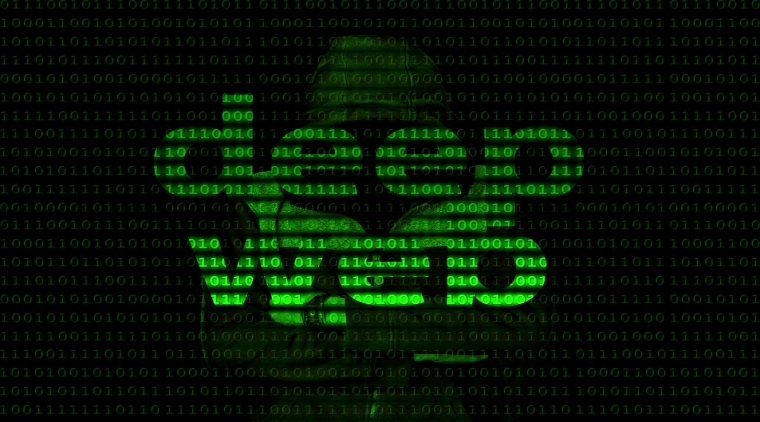 An important point to ponder here is that according to vendor’s claim, this data has never been leaked or sold on the Internet before however in an exclusive conversation with HackRead, the hacker refused to answer or give clues regarding the date and year when the database was stolen from Experian servers. In Oct 2015 Experian suffered a huge data breach in which 15 million T-Mobile users had their data stolen because T-Mobile used Experian to process its credit applications and perform credit checks on its customers. Remember, DoubleFlag is the same vendor who was previously found selling data of high-profile companies including DropBox, Brazzers, Epic Games, ClixSence, uTorrent, Mail.ru, Yandex.ru and BitcoinTalk Forum. Before going into details about WhoIs data there are few things that need to be explained and cleared. 1: We at Hackread.com are unable to confirm if this database belongs to Whois.net, whois.com, domaintools.com or whois.icann.org since none of these platforms have replied to our inquiry email. What we can confirm is that this data does not belong to Who.is as they were kind enough to send us a detailed reply confirming that this data does not belong to them neither were they hacked. Screenshot from the dark web marketplace where WhoIs data is being sold. Is the WhoIs data sensitive and legitimate? Although DoubleFlag claims both Experian and WhoIs databases are new and never been leaked on the Internet or were never part of the leaked databases before, we would like to state that there are several other vendors selling the same WhoIs data since the exact same database is available for public download on Bestwhois. 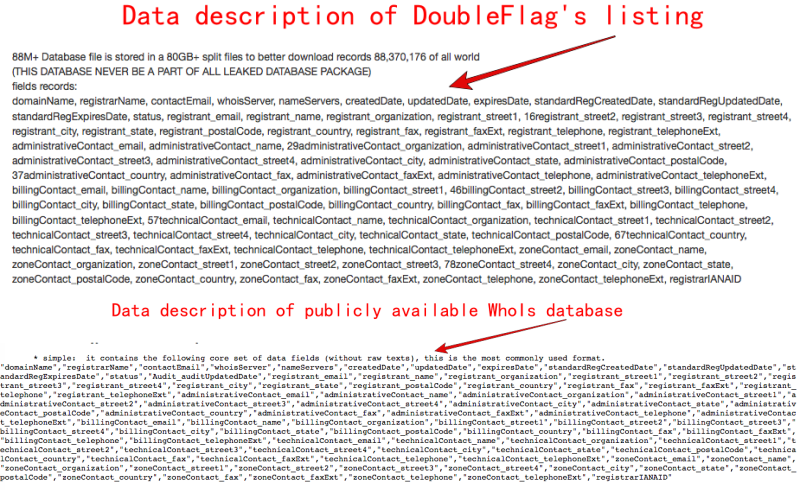 In fact, DoubleFlags’s listing description for WhoIs data matches with the publicly available WhoIs database description and also with the data description of other vendors. Both descriptions match with each other word by word. Is the Experian data legit? When it comes to Experian data there is no indication if it is fake however the description published by DoubleFlag matches with the description available on Poris Data Services, known for selling automotive mailing lists including postal addresses, vehicle information of US vehicle owners and B2B lists. The data may be real and if it is, it’s a massive privacy threat for Experian customers. We have now received an official response from Experian in which the company has denied its servers being breached by a third party. Over the weekend Experian thoroughly investigated the claims of “DoubleFlag” and concluded that these claims are not true.